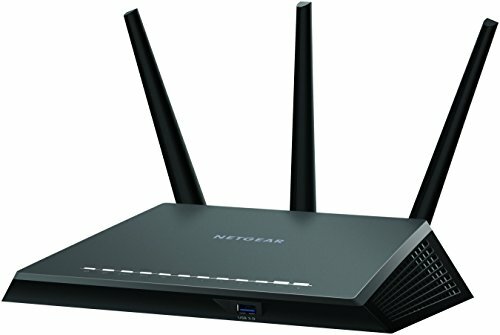 Netgear (R7000P-100NAS) Nighthawk AC2300 Dual Band Smart WiFi Router is currently selling at $159.99, approximately $11.45 lower than average, giving a potential saving of $60.00 right now. With a lowest price of $140.00 and an average of $171.44 it is selling on the low end of its usual range. Price volatility is 9.81% (meaning it goes up and down quite frequently), so the price may rise in the near future. Right now this product is a recommended 'good deal'. 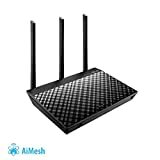 Compare the current price, savings (in dollars & percent) and Buy Ratings for the top WiFi Routers that are closely related to Netgear (R7000P-100NAS) Nighthawk AC2300 Dual Band Smart WiFi Router. Here is how Netgear (R7000P-100NAS) Nighthawk AC2300 Dual Band Smart WiFi Router compares with other leading WiFi Routers. Built with gaming, streaming, and mobile devices in mind, this gigabit WiFi router supports MU-MIMO for simultaneous streaming and delivers extreme speed so you enjoy less lag and less buffering. With next generation WiFi, Beamforming+, and built-in high powered amplifiers and external antennas, get ready for extreme performance FeaturesAC2300 WiFi-Up to 1625+600 Mbps wireless speed. Denial-of-service (DoS) attack preventionSimultaneously stream to multiple devices with Multi-User MIMO (MU-MIMO). IEEE 802.11 b/g/n 2.4 GHz. IEEE 802.11 a/n/ac 5.0 GHz - 1024 QAM supportBetter video streaming, lag-free gaming, surfing, and more with a powerful 1GHz Dual Core ProcessorPrioritizes network traffic by application & device with Dynamic QoS.